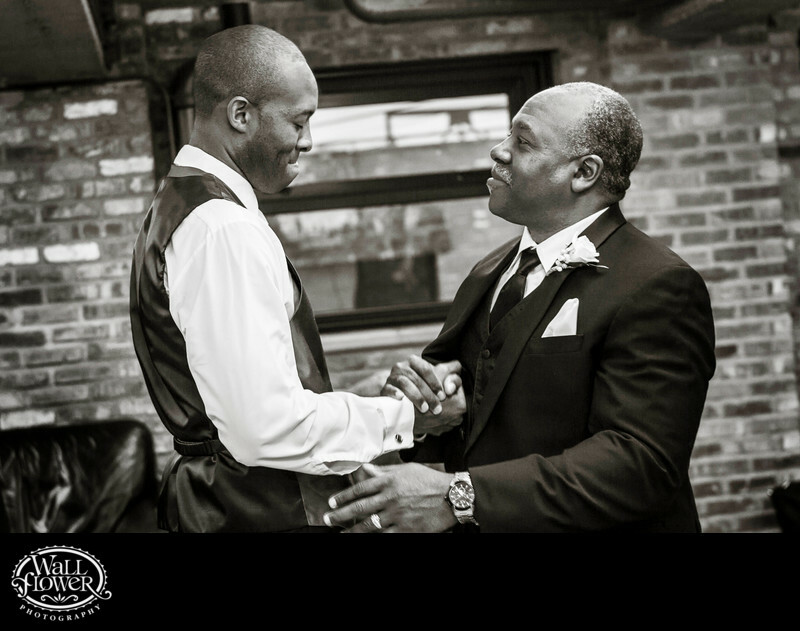 This groom got a little emotional when his father came up to give him a few parting words before the wedding ceremony started. His dad's proud look as they clasp hands and prepare to embrace is priceless. This wedding took place at Historic 1625 Tacoma Place, a former car showroom in Tacoma, Washington.